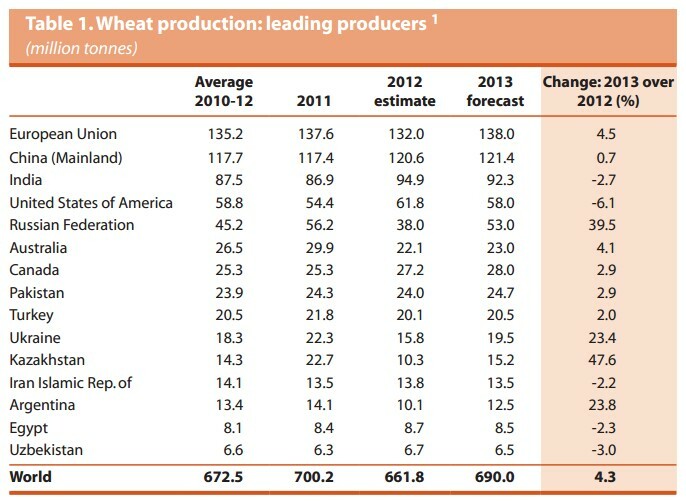 The International Grains Council has released its grain market report for 2011 April. 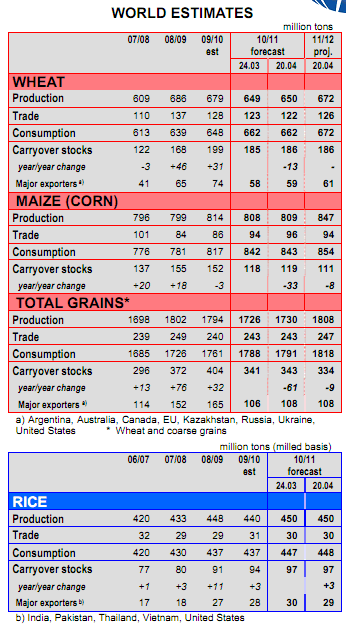 Here are the salient points and outlooks for wheat, rice and maize. 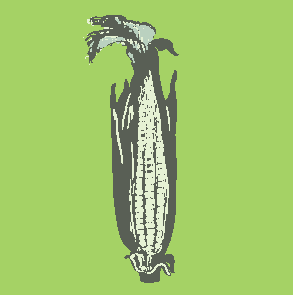 The past month was again volatile in global markets, with a sharp jump in grain values in early April largely centred on renewed bullish trading in maize (corn), partly in response to new US data indicating heavier than anticipated domestic use. However, there was also general nervousness about world weather conditions for upcoming northern hemisphere harvests, while developments in other commodities, energy markets and global economic news played a role too. Day-to-day volatility in futures exchanges remained very high, with the average “historical volatility” percentage (HV20) for nearby US CME corn in Chicago showing a further increase since March. 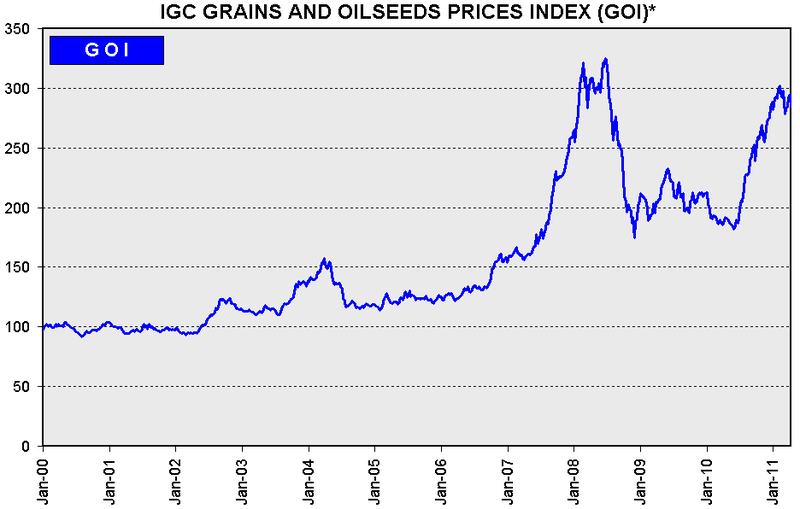 International wheat prices registered net gains of some $30 per ton, reflecting a generally tight market for milling wheat, especially premium varieties, with concerns about the impact of dry conditions on the next US Hard Red Winter crop and overly wet weather on spring wheat plantings. In contrast, prices of oilseeds showed little net change in the past month, with new-crop soyabeans from South America beginning to enter the market, offsetting concerns about the tighter supply outlook in the US. 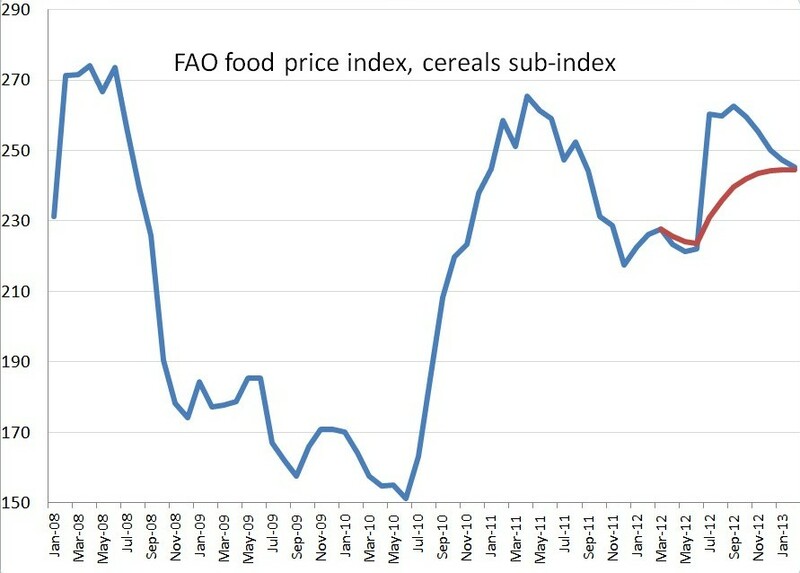 Global rice prices actually moved lower in the face of improved supplies from recent Asian exporter crops. Despite strong global demand for commodities and raw materials, and rising bunker fuel prices, dry bulk ocean freight rates fell significantly due to a continuing build-up of surplus tonnage. 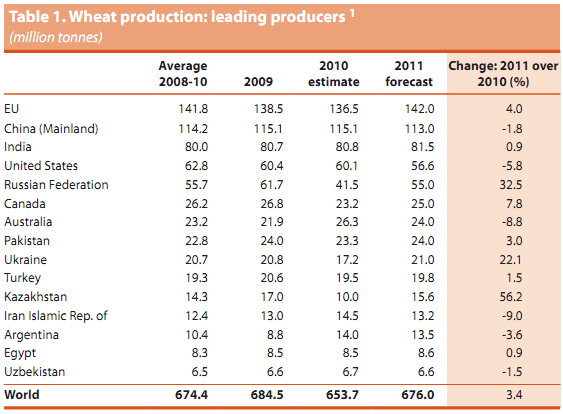 WHEAT: Less than ideal conditions for some crops lower the projection of world wheat production in 2011-12 by 1m. tons, to 672m., but this is still 22m. more than the year before. 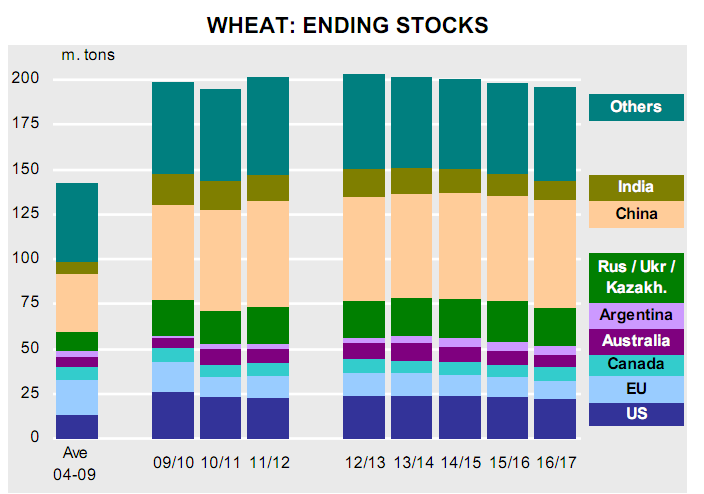 Winter wheat in the US has been affected by dry conditions and rains are also needed in the EU and China. 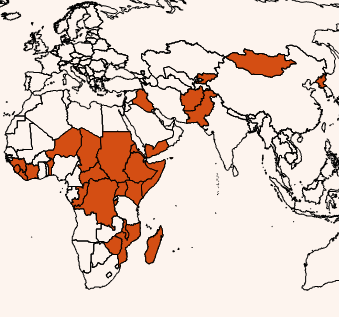 Spring wheat sowing is being hindered by wet soils in the US, Canada and Russia. 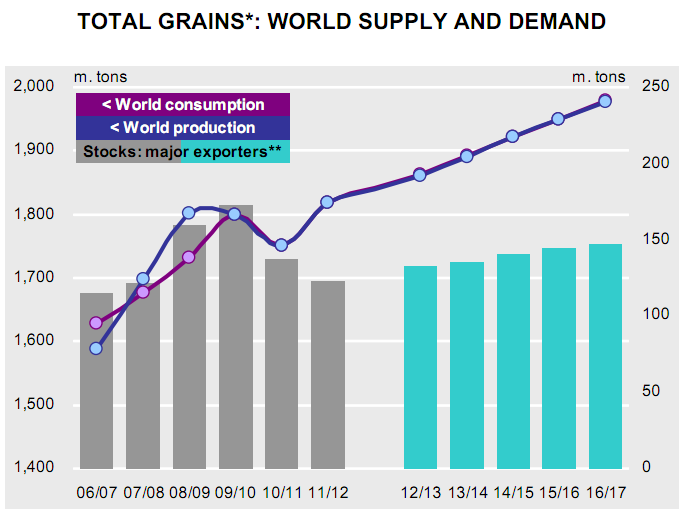 This year’s bigger global harvest is expected to be matched by higher consumption: the world total is placed slightly above last month’s, at 672m. tons. World stocks are projected to remain steady, at 186m. tons. 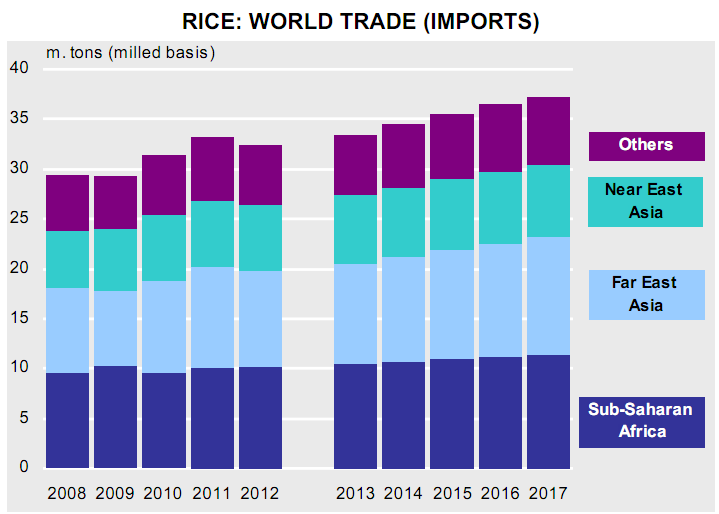 World trade will be lifted by larger milling imports in North Africa and Near East Asia as well as by anticipated strong global demand for competitively-priced wheat for feed. 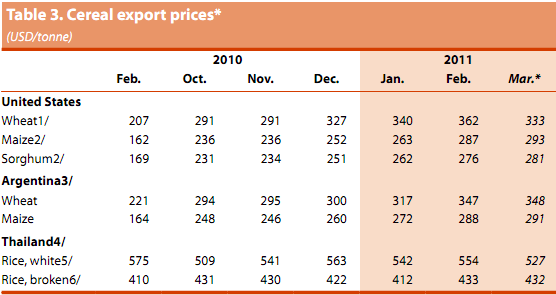 Shipments in 2011-12 are forecast at 126m. tons (122m.). 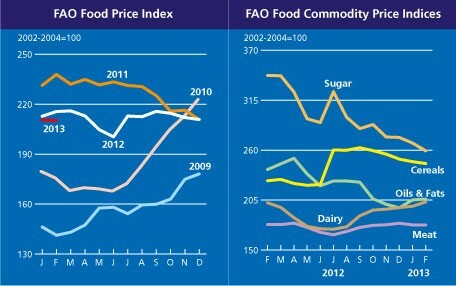 MAIZE: High prices are forecast to boost world plantings by 3% in 2011-12. 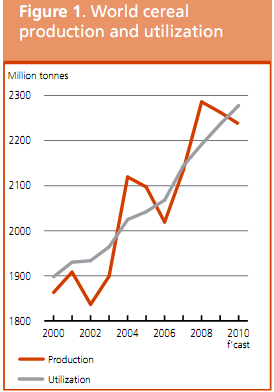 Assuming yield growth returns to trend, global production is projected to increase by almost 5%, to a record 847m. tons. Potentially tight supplies and firm market prices are expected to limit consumption growth to 1.3%. 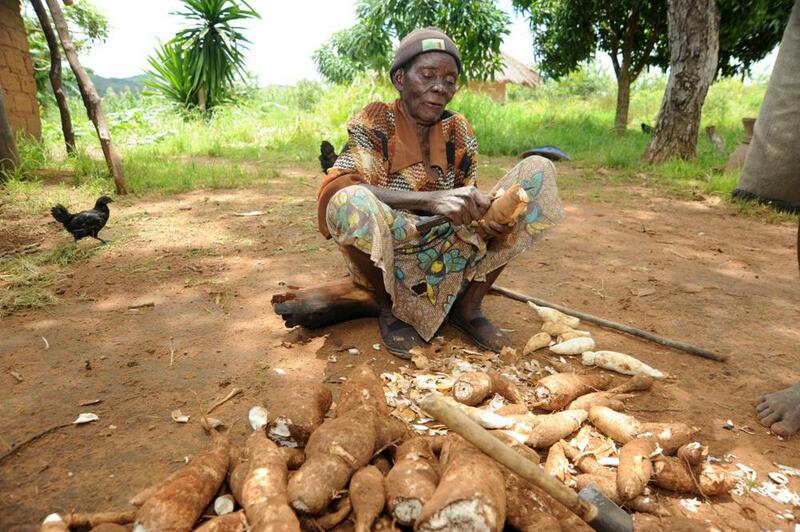 Although meat demand will remain firm in number of developing countries, overall growth in maize use will likely slow, as livestock producers switch to wheat. 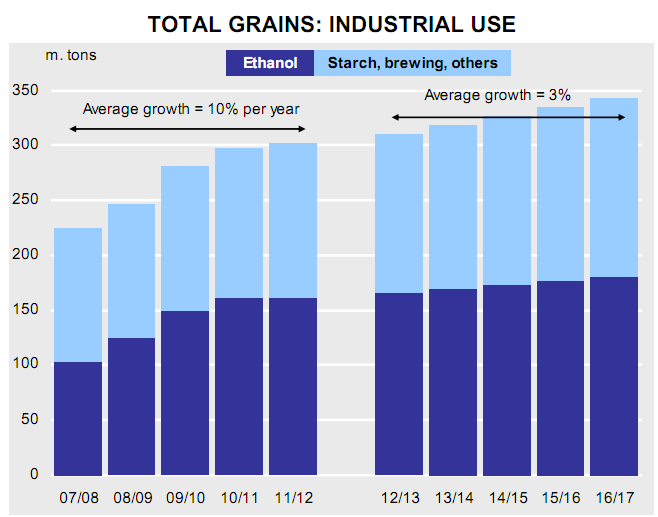 Due to a projected standstill in demand from US ethanol producers, global industrial use of maize is forecast to slow to only 1.3%. 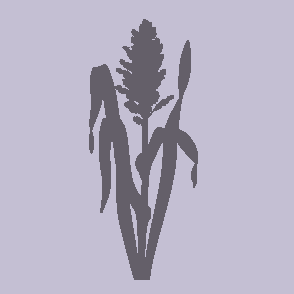 A larger crop in the EU and increased competition from feed grade wheat is projected to result in 1% drop in world trade, to 94m. tons. 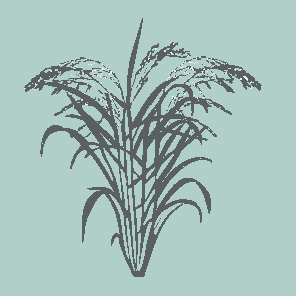 RICE: World rice production in 2010-11 is placed at a record 450m. tons. 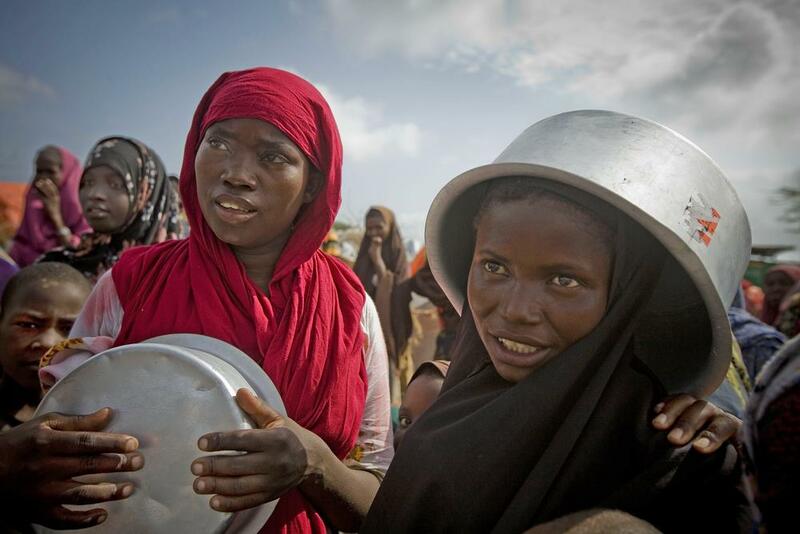 Ample availabilities will underpin rice consumption, set to expand by 2%, to 448m. tons, while the 2010-11 carryover is expected to reach an eight-year peak of 96.5m. tons (94.0m.). 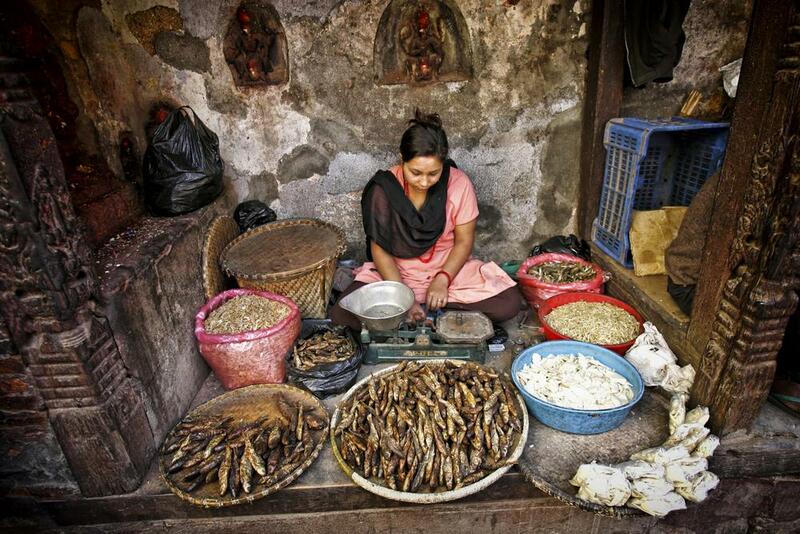 After last year’s solid rise, world trade is forecast to decrease by 2%, to 30.3m. 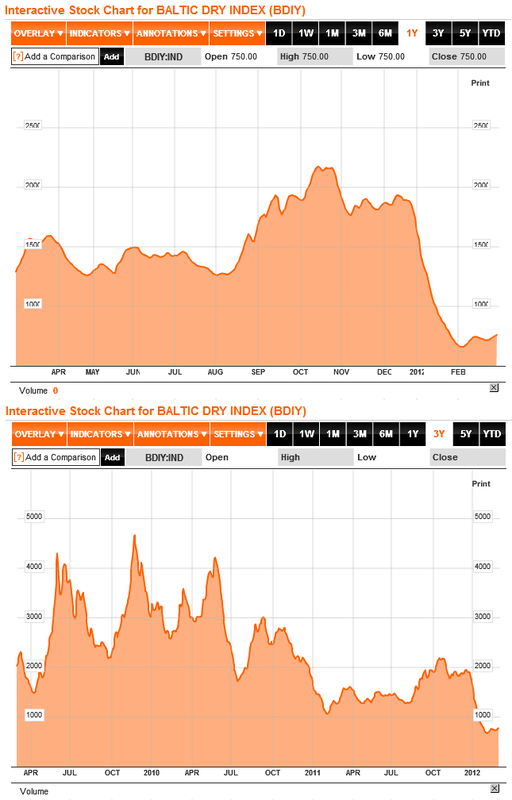 tons reflecting a likely steep fall in imports by the Philippines.